7 Therapies is a friendly and professional health and beauty studio in the heart of Queens Park, London NW6. Our highly qualified therapists are passionate about all aspects of inner and outer wellbeing and offer a range of complementary therapies and beauty treatments in a nurturing and relaxing environment to help you look and feel your best. Osteopathy is a gentle and effective hands-on approach to healthcare, based on the principle that the way your body moves influences how it functions. Osteopathy takes a holistic approach to health and wellbeing looking at the whole person including their mind, body, spirit and environment. Osteopaths are highly competent healthcare professionals that are fully qualified to diagnose and treat independently. Osteopathy is authorized by all major health insurance providers as well as recommended in the NICE guidelines for the treatment of low back pain. Osteopathy can be used to treat all ages from babies to the elderly. The kind of conditions osteopathy has been proven to help include back pain, headaches, dizziness and neck pain, shoulder pain and frozen shoulder arm, elbow pain, abdominal pain and digestive issues, sport injuries, pregnancy, fracture rehabilitation, pre and post operative hip pain, as well as mild and serious long term chronic conditions. Where possible osteopaths seek to resolve the underlying cause of the problem, and therefore prevent it from reoccurring. Sybil is available on: Tuesday, Thursday morning & Saturday mornings. Jared Cox is available Thursday afternoons. Please give us 24 hours notice, otherwise the full fee will be charged. Sybil is a Masters graduate of the British College of Osteopathic Medicine and a registered osteopath with the General Osteopathic Council. 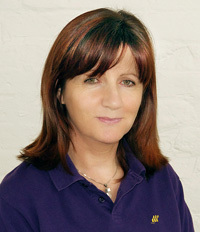 A highly qualified, professional and effective osteopath, Sybil uses a range of skillfully applied manual therapy techniques which include soft tissue massage, joint mobilization and gentle manipulation, where appropriate, to treat a wide range of conditions from every day aches and pains to more serious complaints. Every treatment is always tailored to each patient's medical history, daily routine, requirements and expectations. In addition to hands on treatment Sybil is able to achieve excellent outcomes by supporting all treatments with specific nutritional advice, exercise rehabilitation and if appropriate the use of medical acupuncture and kinesio taping. 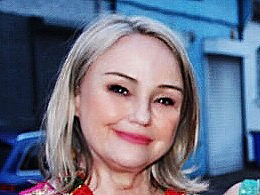 Sybil has lived in the area for nearly 20 years, and she is looking forward to providing osteopathy to the good folk of Queens Park and its surrounding communities. As well as having a busy family life, a menagerie of pets including a sausage dog Bruce (who needs regular osteopathic treatment for his very long back) she is also an accidental all year round outdoor swimmer! Whether in the Hampstead Ladies Ponds or the Lido training for the Dart 10K or Bosphorous. 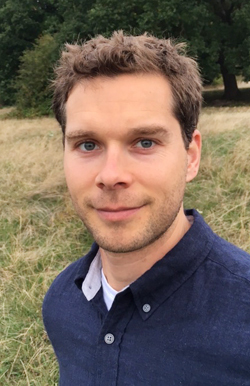 Jared has his Masters degree in Osteopathy from the prestigious British School of Osteopathy in London, UK and is a registered Osteopath with the General Osteopathic Council. In addition to Osteopathy, Jared is a certified Holistic Nutritionist and a Personal Trainer. His aim is to treat patients in an individualized holistic manner using a variety of osteopathic techniques, nutrition and exercise to help patients become pain free and reach their desired state of health. As a former rugby and ice hockey player Jared's passion is working with athletes of all ages but also has a wealth of experience working with retirees, office workers, trades people, children and pre and post-natal woman. Jared uses a variety of structural techniques, such as joint mobilisation, manipulation and soft tissue release to help people with back, neck, shoulder, hip and knee pain. A therapeutic, remedial massage, which can be given as a general treatment, or to help with specific muscular problems. The intention is to stretch out tensed, contracted muscle fibres, to help them to return to their relaxed length and to assist in the breakdown of scar tissue and adhesions, which may be the result of poor posture, overuse, or an old injury. Various active and passive exercises, or other techniques, may also be used to assess the client and to help strengthen the muscle groups. This will definitely help if you suffer from general muscular aches and pains. Holistic massage aims to restore balance within the body, taking into account the person's whole being not just their physical symptoms or ailments. This nurturing treatment combines an hour of flowing massage techniques using essential oils followed by 20 minutes of Chakra balancing and Reiki. Reiki is a channelling of healing energy that taps into your body's own intelligence and immune system to enable it to heal itself. It also works on an emotional level to melt away your stress, relax you, and probably help you sleep better and wake up with enhanced energy. Concentrating on stress and tension areas, we use aromatherapy-blended oil to restore a sense of well-being. This supportive massage uses specific techniques to alleviate back pain and muscular tension caused by changes in posture and body shape, as well as helping other discomforts that can occur during pregnancy. It is also beneficial to have post-partum massage to improve muscle tone and rejuvenate the body after birth. See our pre and post natal section for more information. A wonderfully restorative, deeply therapeutic treatment that combines the relaxing warmth of hot stones and massage. The heat from the stones penetrates the muscles and joints helping to relieve tension and any associated pain, thus allowing a deeper, more comfortable treatment than is possible with regular massage. Not recommended during pregnancy. Helen has 17 years' experience as a Massage Therapist and Reflexologist. 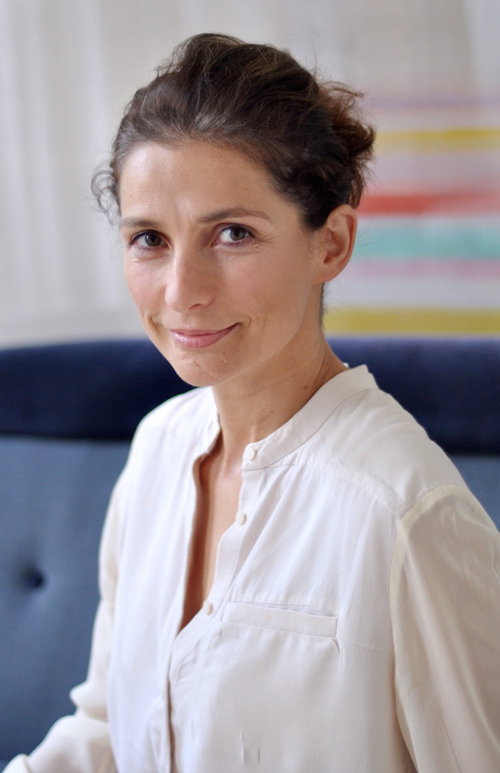 She trained at Hammersmith and West London College in 1999, where she was awarded the IIHT Diploma in Holistic Therapies and the Certificate of the Association of Reflexology. She then went on to further studies in remedial/deep tissue/sports massage. Helen is also trained in pregnancy massage and hot stone therapy and she has continued to perfect her skills with ongoing professional training. Since 2000, Helen has been practising at clinics, spas and as a mobile therapist in the West London area. Her clients know her as a responsible, conscientious therapist with a calm disposition and sensitive, compassionate approach. She is interested in all aspects of Complementary Health and believes that touch can deliver many positive benefits on both a physical and psychological level. She likes to create a calm space to work in so clients are able to fully relax and get the most out of their treatment. Helen continues to perfect her skills in remedial, deep tissue, pregnancy massage and hot stone therapy through ongoing training. She is also happy to do home visits with her portable massage couch. Liz draws on extensive experience in holistic therapy to tailor her treatments to assist clients to develop a greater self-awareness and harmony between mind and body. Her approach combines an intuitive touch with formal training to identify and treat areas of stress in your body. Using a range of techniques and appropriate pressure (including very firm) to relieve tension and release energy to allow your body to heal itself. She qualified as a holistic massage therapist at the East West Centre, London EC1, then went on to further training in remedial techniques and soft tissue manipulation at the University of Westminster. Over the next eighteen years she has added other specialities: thermal stone therapy, pregnancy massage, manual lymphatic drainage, abdominal sacral massage, Japanese acupressure and Hawaiian Lomi Lomi. 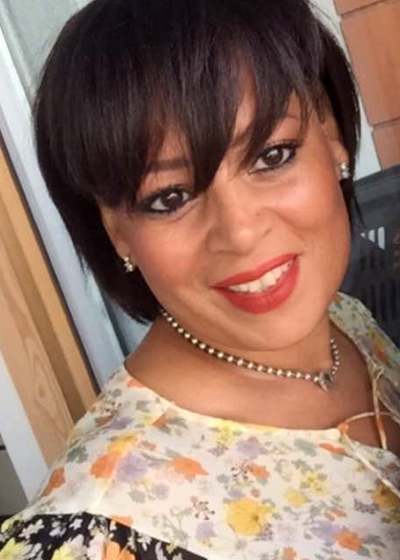 She has gained valuable experience working in spas, in companies doing on-site massage, a women's community charity in Camden and with elderly people in care homes. Liz is a Reiki practitioner and continuously develops her healing skills through regularly attending spiritual courses. Kate Wight's facials are completely divine. Relaxing and effective, her stimulating facial massage is second to none. Having tried many other places over the years, I feel incredibly lucky to have found a facialist of Kate's calibre in my local area - I would travel miles for her treatments! As well as incredibly experienced and professional, she is also a lovely person and tailors her facials to my needs on the day. I truly can't recommend her highly enough. Suffering with severe pain in my neck, and down my right arm (so bad I couldn't sleep), I went to see Sybil a couple of weeks ago. I found her to be professional, very personable and a great communicator willing/able to clearly explain what she thought the 'problem' was and the treatment she planned to carry out. As well as the treatment, she gave me advice on some exercises I should do and identified a couple things I should stop doing. I'm delighted to say, I am now back to what is for me, full fitness, back to cycling and on the way to agreeing my new fitness programme. I have been seeing massage therapist Elizabeth Gilhooly a number of years. Liz is a unique therapist who is not only sensitive to each client and their needs, but she also has the best touch and technique I have ever experienced, and I have had massages in many different countries. She naturally finds the problem areas of the body and heals them with massage and her energy. I love it! As a busy consultant working in the NHS I have found having regular massage over several years with Helen Whiting a vital ingredient of my health and wellbeing. She's very professional and calm and as comfortable with chatting as she is working silently. Her hands are very strong and she really does deliver a deep-tissue massage. She is so skilled at finding those tightened-up muscles that are a result of days at the computer and work stress. I feel very safe in her hands and am so lucky to have found such an excellent massage therapist! Regular massage is an integral part of looking after myself - both physically and mentally - and I can highly recommend Elizabeth Gilhooly. I've been seeing her for more years than I care to remember, and she is an extremely skilled therapist. Each massage is geared to what I need, whether it's deep tissue on a particular area, a soothing and relaxing get-away-from-it-all, hot stone, Hawaiian rhythmic massage, a healing treatment... or a combination of any of the above. I couldn't do without my Thursday massage. Clare gives the best facials in London hands down , I had problems with my skin for many years, and then I found Clare. Her magical hands and great energy has blessed my face with healing, both my elasticity in my skin and dryness has been totally clear for the past 3 years, I couldnt recommend her enough. Deep cleansing and restorative, the Dermalogica range contains products to decongest and soothe problematic skin, as well as products formulated to rehydrate and replenish mature, dry and ageing skin. Includes steam, exfoliation, extractions if needed, facial massage and mask appropriate to your skin's needs. The complete facial. Lifting sculpting and rebalancing. Massage movements designed to encourage lymphatic flow and muscle stimulation, with far reaching results. A quick-fix, no-fuss facial for troubled skin focusing on your main skin concerns. Includes cleanse, express exfoliation, hydrating masque and moisture protection. A relaxing and deep cleansing treatment which improves the tone and texture of the skin. It includes dry body brushing to improve circulation, exfoliation to remove dead skin cells, and concludes with a 10 min back massage to ease stress and tension. We use Jessica nail polishes for their superb, long-lasting color and shine. * A patch test is required before the treatment. Clare has been working in the beauty industry for over 20 years specialising in hot waxing and all aspects of beauty. She is currently training girls at the London Tanning and Beauty centre. Clare will be available to make you beautiful on Tuesdays and Saturdays. Kate Wight is a beauty therapist with over 20 years of experience in all treatments. Specialising in facials. Kate is available on Thursdays and Saturdays. The aim of Reflexology is to encourage the body to find its own natural balance and to promote healing. Reflexology is based on the principal that invisible energy pathways run throughout the body, like the meridians in acupuncture. These channels can become blocked due to stress or illness and this prevents the body from functioning efficiently. During a treatment, the therapist applies pressure with the thumbs or fingers to specific points, or reflexes, on the feet, which helps to unblock the energy flow - having a positive effect on the organs or glands which lie in the corresponding zone of the body. The roots of Reflexology can be traced back to the ancient Egyptians. It is a truly holistic therapy, as it can affect the receiver on both a physical and emotional level. Migraine, insomnia, depression, constipation, irritable bowel syndrome, back ache, high blood pressure, menstrual problems, hormone imbalances, infertility. The first treatment includes a detailed consultation and lasts approximately an hour and ten minutes. Subsequent treatments last for an hour and they are always concluded with a relaxing foot massage. A course of 6 treatments is highly recommended to help with chronic disorders and restore the body's own natural balance. Helen is particularly interested in the positive benefits that reflexology can bring in helping to alleviate female conditions such as difficulty in conceiving, menstrual problems, IBS and other stress-related symptoms. At 7 Therapies we know that during this special time, it is so important to feel healthy and confident both physically and emotionally. Whether you have back or pelvic pain, achey muscles, or you just need a pick me up - and a little help reaching those toes - let the practitioners at 7 Therapies make your pregnancy and early motherhood as positive as can be. See below for details on what our therapists can do for you. Treat yourself to total bliss and relaxation during your pregnancy. At this special time in your life it is important that you receive the pampering you deserve, so here at 7 Therapies beauty we have put together the following treatments which we are sure you will enjoy. If you're looking for the perfect baby shower gift for a pregnant lady in North London then consider one of our pregnancy beauty treatments. Pedicures during your pregnancy are a good idea as they help comfort and soothe your feet and will also help you feel prettier. So get those tootsies in great shape before baby arrives. At 7 Therapies, we give a wonderful pedicure with a relieving and moisturising foot massage, resulting in beautifully polished coloured nails, buffed to a high shine. Pamper your hands. Due to the increase in vitamins and minerals, and the blood and hormonal changes during pregnancy, the fingernails and toenails will grow faster than ever before. Your hands are constantly on show, so if they look great they feel great. During pregnancy, the skin goes through different hormonal changes which can result in dry, flaky or dehydrated skin. Or one can suffer from breakouts. We can address these skin problems with Dermalogica's signature facial treatments, each suited to different skin concerns. Many mothers to be experience the same anxieties when it comes to their appearance during pregnancy. Let us ease away those worries instead. Osteopathy can help support a woman throughout her pregnancy and also after the birth of her baby. During pregnancy the body undergoes substantial postural and physiological changes to accommodate the growing fetus. This may lead to stresses and strains along the spine, ribs and in particular, the pelvis. Dysfunctions such as SPD (Symphysis Pubis Dysfunction), sciatica and even heartburn can be addressed. The osteopath will also advise on lifestyle, at home exercises and positions to help alleviate pain and prepare for the birth. In osteopathy the aim is to maintain optimal movement and reduce discomfort and stress allowing the woman confidence in her body for the health and security of the pregnancy and the upcoming birth. After the birth, it is highly recommended to have a check both for the new mum and the baby. For the mum, it is an important time to see an osteopath to ensure the body has readapted post delivery and aid recuperation. The practitioners can also address any new strains due to feeding for long periods, carrying and lifting and give advice and exercises to help further. A check for baby is important to address any issues from the extreme stresses of birth which may contribute to difficulties in the future. These may include feeding, sleeping and settling. It is recommended for any type of delivery. Our prenatal massage is tailored specifically for your special needs of a mother-to-be as your body goes through the dramatic changes of pregnancy. In a tranquil and comfortable set-up you can have some time for yourself to relax and enjoy the treatment which offers physiological, emotional and psychological benefits. Assists in maintaining good posture and adjusting to a changing alignment caused by the baby's increasing weight. Postpartum massage can help restore a mother's body to its pre-pregnancy condition. It helps to realign the body and tone the skin. It is also important to keep muscle tension to a minimum around shoulders and arms whilst adjusting to mothering duties. A calming nurturing touch promotes relaxation and provides emotional support during this transitional period. No matter where you are in the childbearing year, massage may have many benefits for you and your baby. As your bump develops, Reflexology helps to ease the aches and pains that can occur, but it can also provide relief from some of the many other symptoms you may experience such as morning sickness, heartburn, swelling in your legs constipation, sciatica, high blood pressure, insomnia, bladder problems, mild cramping, and even haemorrhoids In addition, reflexology seems to reduce emotional stresses, such as depression and anxiety. Studies have shown that regular Reflexology though out pregnancy significantly reduced both the time in the first stage of labour and the pain experienced, thus reducing the need for pain relief. Towards the end of the pregnancy and after your due date, Reflexology can help bring on uterine contractions, which is a more holistic option than a hospital induction. Continued treatment will encourage a speedy recovery from the birth, re-balance the body to allow your menstrual cycle to return to normal but most importantly, provides some much needed time out for new mums! Registered Osteopath and Naturopath, Medical Acupuncturist. Facials, manicures, pedicures, waxing, eyelash and eyebrow tinting. Experience in all treatments. Specialising in facials. Deep tissue massage, reflexology, hot stone massage, pregnancy massage, aromatherapy. Home vists with portable couch. Deep tissue massage, manual lymphatic drainage, pregnancy massage, hot stone massage, reiki.